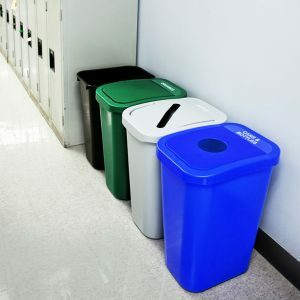 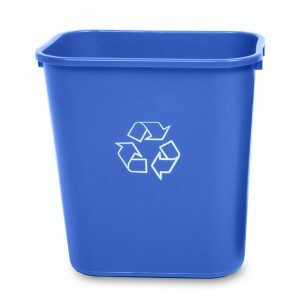 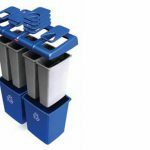 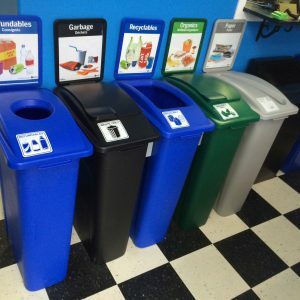 Support your facility's recycling program, help reduce labor costs, and improve worker well-being. 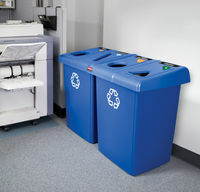 Support your facility’s recycling program, help reduce labor costs, and improve worker well-being. 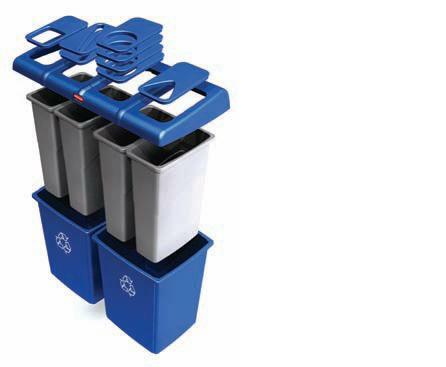 High-capacity, all-in-one centralized solution for efficient waste sortation. Provided restrictive-opening tops, symbol label pack, and word label pack in three languages provide visual cues and encourage compliance. 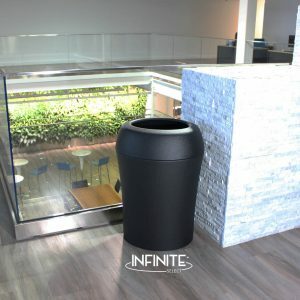 Hinged lid allows easy access during emptying. 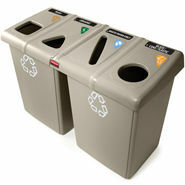 Custom imprinting available; contact Rubbermaid Customer Service at (800) 347-9800 for details.